Watching and reading coverage of the terrorist attack on the World Trade Center in New York, and the Pentagon in Washington, D.C., it occurred to me that many websites and newspapers were reprinting the same limited number of images of the tragedies. In order to better understand this event, I sought to collect a broad variety of digial photographs. 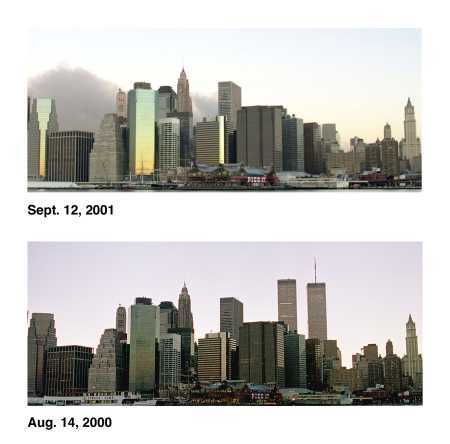 Most of the images I collected were of the World Trade Center, where 2,865 have been confirmed dead. I decided to put these photographs on the web as an online memorial. Use discretion: these photographs are at times dramatic and disturbing.